This is my first NADA Show and I’ve thoroughly enjoyed my time here. If you’ve never been, but are considering attending next year I would certainly encourage you to go. That said, what has struck me most at NADA isn’t who’s here exhibiting, but who is not. Why doesn’t Google have a booth? Or Facebook? Or Amazon Web Services? If you also attended the Show with more of a digital agenda, did you find yourself asking the same thing? Personally, I’m having a hard time finding answers and welcome any and all feedback. We are currently shopping for a new DMS & CRM System. The idea of 1 system with Reynolds is intriguing for us since we are used to a hub and spoke concept that we currently have with Quorum and Elead One. With that being said, who uses Reynolds DMS and CRM vs. Who uses Reynolds DMS with Dealersocket, Oplogic or VinSolutions? Any feedback you can provide from experience using these products would be great for us to dig further into when we do our store visits to evaluate which option we plan to go with. I appreciate your time sharing your feedback! Customer data from dealer websites and 3rd party vendors being sold?? Would love everyone’s opinion on this one..I spent the last 4 days at NADA and was told by several vendors something very disturbing that I was not aware of. I am told that Dealer Website companies, 3rd party lead sources like AutoTrader, Cars.com, CarGurus, TrueCar are selling their visitor data to companies like Oracle and others that then sell this data. It is then being sold back to SEM agencies for dealers for them to target people for conquest and then we pay for it. If this is correct I have a serious problem with it. Dealers are paying for a website, paying to get traffic to their website, paying 3rd party vendors for “leads” then some of us are then paying possibly the same companies for SEM services, Facebook advertising, etc…AGAIN. So dealers are being double or triple dipped here?? Walmarts partnership utilizes CarSaver’s car dealer network which includes local dealerships throughout Georgia, Illinois, Indiana and Virginia. It also leverages its partnership with AutoNation, the nation’s largest new-vehicle retailer. The CarSaver network also includes banks and insurance companies – in hopes to provide a better “customer experience,” including upfront pricing. Once a buyer finds what they want, they are connected with a “express manager” to either test-drive or pick up the car at one CarSaver’s participating local dealerships, which is typically within a 15-to-20-minute driving distance from a Walmart supercenter. Where is CarSaver making their money? Automotive News reported that upon making a sale, the dealership pays CarSaver a fee of $350 in most states. A CarSaver website claims the partnership will help dealers sell more cars by reaching Walmart’s 250 million customers and 1.7 million employees. CarSaver CEO is the industry infamous Sean Wolfington. Another big box / non automotive originating retailer desperately trying to break into the car business. Will this be the one that works? Do you find the ball stops rolling once your customers leave the lot? After-sales services are a huge part of the auto market, and yet many dealerships fall short brining in old leads. Forbes reported that gross profit margins for after-sales services were much higher than the sale itself, but at the same time, many dealers treat services as the unwanted middle child, with little support and no fancy dressings. Let’s talk numbers. An Accenture study found that GM had a revenue of $150 billion in car sales, and $9 billion in after sales services. Pump more money into the vehicle sale? Nope, those $9 billion in after sales services brought in more profits. With such huge returns, certainly GM has coddled the service industry unlike any of its competitors, right? Nearly 50% of customers reported service delays because dealers didn’t have the right parts easily available. Not really the peak of performance we would expect. Establishing personal contact early is one of the most important indicators identified by the IRJMS study. According to Cars.com, dealerships who have the highest response rate to customer complaints had the highest dealership ratings. These unhappy customers leave reviews more often and much faster than any other demographic – you must catch them quick. So, there’s all these indicators, and you know keeping in touch with the customer is important, but how do you do it? What is the secret to keeping the conversation rolling after the sale? Having a nice brick and mortar is good, but with the rise of internet sales you’re likely to catch more cobwebs than conversions without a strong digital presence. Much of your customer contact is going to come from behind the keyboard, it’s your job to make it as easy as possible for them to make that connection happen. Integrate your website with communication channels, provide information directly to customers instead of hiding it behind a subscription or in the back corner of your HTML. Consider this, if you google a question and click on a site where you have to login to see the answer, would you? No, you’re going to hit the back button ASAP and find a site that values its customers more than its subscription count. You haven’t earned a subscription yet, throw your customers a bone first. 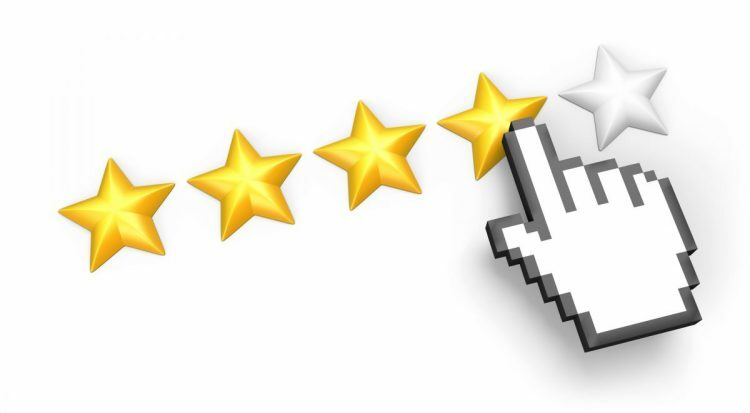 When it comes to online browsing, dealer reviews are the make or break of the sale. Manage complaints through your system to convert as many negative experiences to positive ones before they leave your internal ratings. Deloitte found that those dealerships who responded most often and most immediately to customer reviews were rated highest, it’s a little effort that goes a long way. 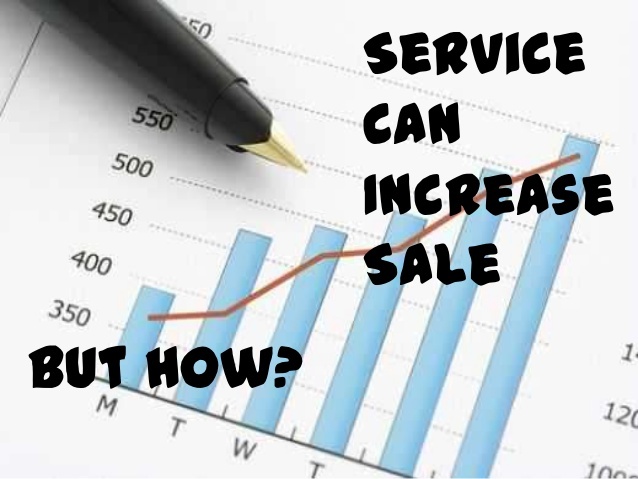 What about services? Offer scheduling and appointment tracking through your own online application. You may find that your fixed operations department is suffering from a digital black-hole. Throwing your hands in the air and ditching the web isn’t the answer, spending real time implementing a solution that works is. Some of the following solutions outline easy implementations you can make that are proven to yield huge returns in fixed operations. All of these features not only improve satisfaction, but directly impact retention as well. The fewer other sites leads have to visit, the more likely they will finally land on yours. Turn on the smartphone and start texting. Customers like when they are texted updates about service appointments. They really like it. According to J.D. 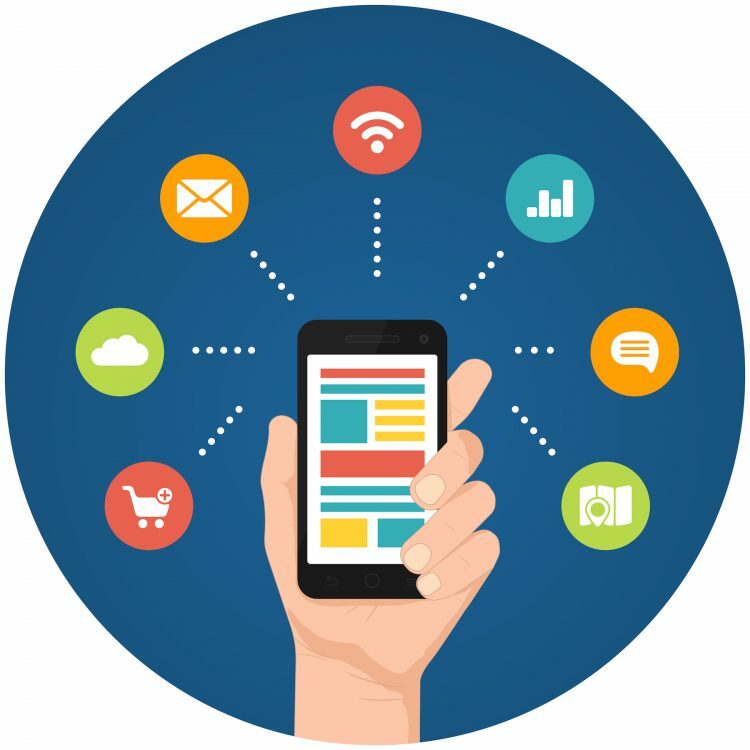 Power, 67% of customers contacted by text message for service reported they were “highly likely” to return to that dealership for future services, 12% higher than contact by any other channel. And while there is a 12% increase in positive customer response, only 3% of dealerships reported incorporating text message technology. The technology to implement is out there, companies just aren’t willing to put out the effort to reach the easy dollar. Inventory management has nothing to do with the customer, does it? That’s just boring business stuff. You’re right, inventory management is just basic business, but it’s basic business that many dealerships get wrong, and basic business that has a huge impact on customer retention. Basic business needs to be the baseline, adding bells and whistles on top is where you make your money. Remember before when I said nearly 50% of customers reported service delays due to poor inventory? According to an Deloitte study, customers are only willing to wait on average 45 minutes for simple maintenance. Don’t think you can cut corners to save money and time, when service isn’t done right, overall customer satisfaction ratings for a dealership drops by nearly 25% (J.D. Power). Dealerships just aren’t investing the necessary money to build a sufficient service system, the very system which should generate a large portion of their profits. What better way to get face to face with a customer than behind a computer screen. Online video calls let you connect with a customer in a personal channel from a comfortable location. One of the highest indicators of customer satisfaction is personal contact points. Face-to-face interaction allows for you to cater to customer convenience, and reinforces your presentation of customer experience priority. customer satisfaction. Video calls can also be used to pre-diagnose potential service issues so parts can be ordered before the customer brings in their vehicle, expediating the time-sensitive process. There’s a fine line between intimate contact and obnoxious spam, and when marketing to customers who have a whole laundry list of other service centers they could choose instead at the tip of their fingers, you need to tiptoe that line carefully. Keeping communication channels open for relaying service information during the service process is important, drop out of these high-level channels shortly after service is done. Sending birthday wishes, or a happy holidays greeting is an excellent way to stay in the customer’s mind without invading their inbox. Bloomberg cites a study by Bain & Co. when they argue that while many dealerships are happy to get everything done, the real leaders are the ones that go out of their way to surprise their customers. While the quality of a vehicle purchased is one of the most factors in customer loyalty, customer satisfaction from after deals services is the greatest hinge in retention. Keeping in touch with your customers can be easy, you just have to put in the effort to make sure the wheels keep turning. What unique features/benefits/capabilities do you look for when making this decision? Joe Pistell and I were just talking about some data Jon Berna has and it led us down a path of whether a lift in sales can be tracked when the same dealer switches from one CRM to another CRM. I think that answer can be found in time using Jon’s software, but it might take months to years to have the right circumstances, and enough of them, to conclude a valid point. In the meantime we are left with opinions. I have personally seen sales lifts during my days at Checkered Flag, and again, when we were selling CRM at Dealer.com and Dealertrack. When dealers switched from difficult CRMs like AutoBase, Highergear, CDK, Reynolds, etc. to more modern ones things improved. I am under the belief that the CRMs that require lots of clicks to perform a task, or ones that do not have good pencil tools, or ones that do not provide the GM decent reporting, or are more utilized as a salesperson babysitting device are hindering a dealership. And lucky for those CRM sales teams that their clients typically are not educated enough, on CRMs, to appreciate just how handcuffed they are. When these stores do switch to something with a better user experience, buy-in increases and utilization climbs. Buy-in and utilization lead to more follow-up, better negotiations, and smarter marketing. All of those things lead to more sales. Of course, that is just my opinion and I haven’t spent a whole lot of time thinking about CRMs.